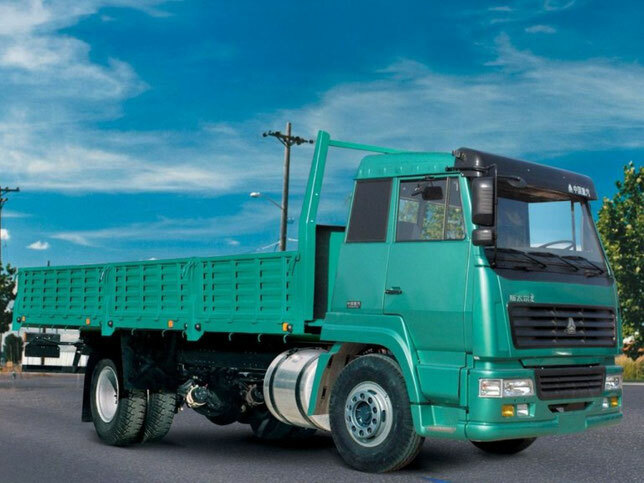 China National Heavy Duty Truck Corporation (abbreviated as CNHTC) is the country's leading manufacturer of heavy trucks, special vehicles, dump trucks and truck tractors with a gross weight of up to 60 tons, as well as special automotive equipment and buses bearing the CNHTC brand. About 20 enterprises of different sizes, members of the CNHTC system, are located throughout China. Basically, these are small factories engaged in the assembly of cars, diesel engines under the licenses of well-known firms Cummins, Fuller, ZF, Rockwell and others. All of them annually produce more than 15,000 cars and about 60-70 thousand diesel engines. CNHTC was based on JINAN AUTOMOBILE WORK (JAW). JAW was founded in 1935 and mainly produced spare parts for trucks. Further development history of the plant looked as follows: in 1956 - the development and production of heavy-duty trucks. 1963 - manufacturer of heavy-duty trucks HUANGHE model JN-150 with a payload of 8 tons. 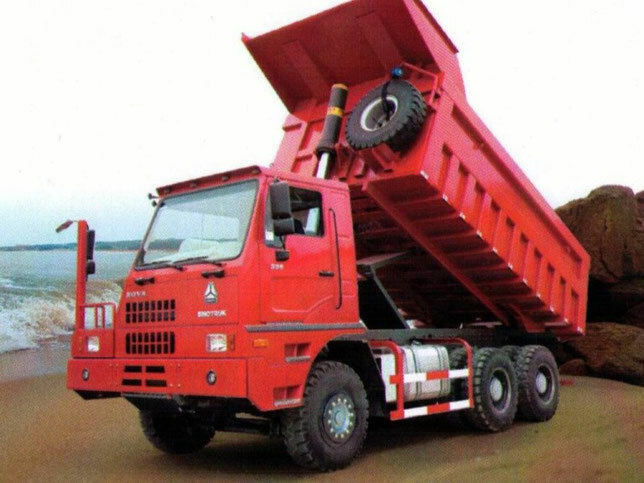 The production of these trucks broke the stereotype that China is not capable of producing super heavy trucks. Successfully realized the project of production of STEYR heavy-duty trucks, and the creation of a joint venture with VOLVO (look: Volvo truck PDF Manuals) for the production of heavy-duty trucks corresponding to advanced world-class technologies. At the moment, CNHTC includes Jinan Truck Co., Ltd., Jinan Bus Co., Ltd and Huawo Truck Co., Ltd. In the Jinan region for the production and assembly of trucks, the production and processing of engines, axles, transmissions, wheels, cardan shafts, interior finishes of cabins, seats and other components and spare parts, the production of buses and special vehicles. CNHTC has its own Technical Development Center. Its headquarters are located in the region of Jinan. The center is an enterprise at the state level, provides developmental support for CNHTC products. In addition, CNHTC also manages such divisions as: real estate company, import-export company, Hong Kong company, financial company, voucher company Xinhai, property management company, and others. On January 18, 2001, after a series of reforms and reorganizations, CNHTC created a new corporate system and entered a new phase of its work. Since the reforms and reorganization, CNHTC has increased sales revenue from 6.2 billion to 23 billion yuan. The production and sale of trucks grew from 7000 to 45000, the market share increased from less than 4% to 18% and reached the first positions. 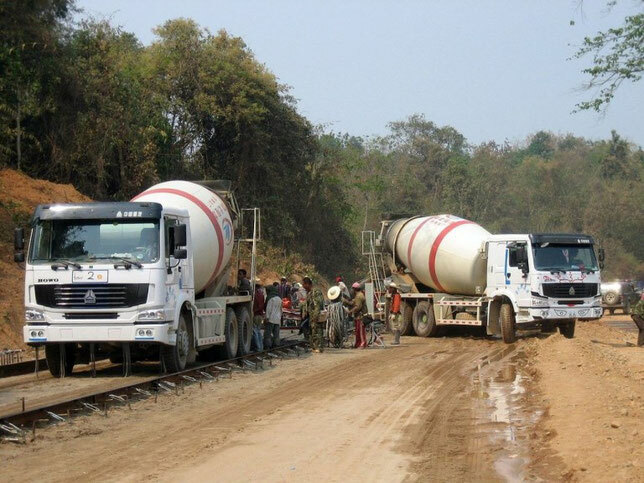 In 2005, despite the deteriorating local conditions for the production and sale of heavy-duty trucks, CNHTC continued its successful development and advanced its ownership in the market by 4%, with sales amounting to 150 million US dollars. Trucks HOWO (Hovo). 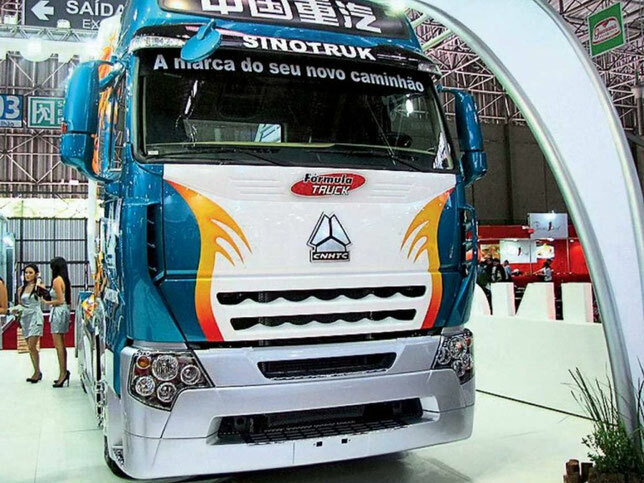 In the heavy automobile industry of China, several leading companies are visible, one of which is Sinotruk (Sinotrack), which, directly, produces heavy trucks. Back in 1935, the Sinotruk market announced itself on the market for the production of trucks, and the first Chinese truck HUANGHE JN-150 appeared. Since then, the range of produced cars has been constantly expanding and today the corporation produces heavy trucks, and, mainly, truck tractors, dump trucks and other varieties, and the company specializes in the manufacture of parts, devices, devices and auto parts. Famous brands produced by the corporation are Howo (Hovo) and Steyr (Steir). The Howo lineup impresses with its diversity. 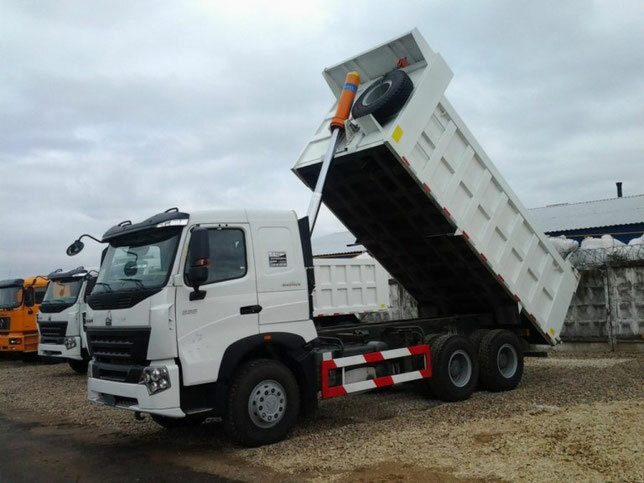 It is possible to note the quality of making mixers, the reliability and durability of dump trucks and tractors, the technical capabilities of on-board cars. 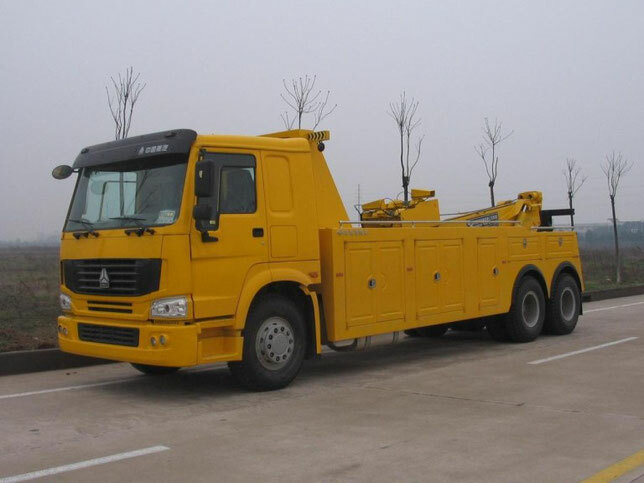 More recently, the upgraded HOWO 8-Series truck was introduced. Changes have affected, first of all, the exterior design of the cabin. The designers have developed a new kind of bumper, wing and footboard. It seems that this Chinese car pours out, as a whole, with all the components of its configuration. A sturdy frame, a reinforced bumper, a reduced size air intake, improved shock absorbers are the hallmarks of HOWO 8 trucks. 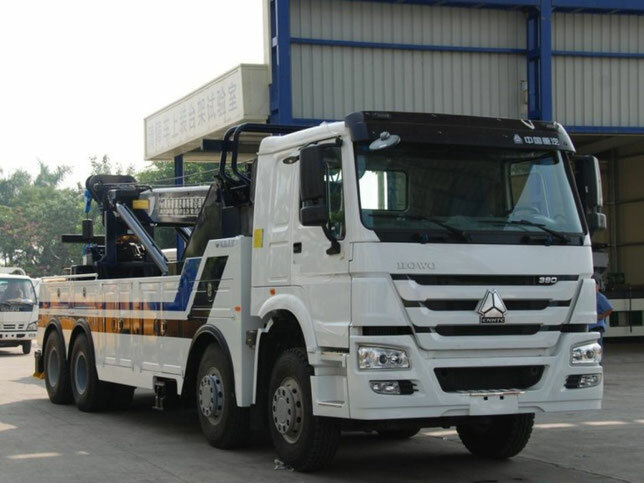 And this is not the limit, the general image of HOWO trucks will be complemented and modernized so that a truck can be recognized immediately from a distance. The interior atmosphere of the truck cabin HOWO 8 is made in the most favorable light: the control panel is air conditioning, climate control and electromagnetic fields, a convenient workplace for the driver, when everything is at hand. Truck HOWO 8 is also equipped with a new electronic system. To begin with, the developers were concerned about the generator voltage fuses, changed lateral turn signals, introduced modern lighting devices, and therefore conducted a new wiring in the electronic unit. 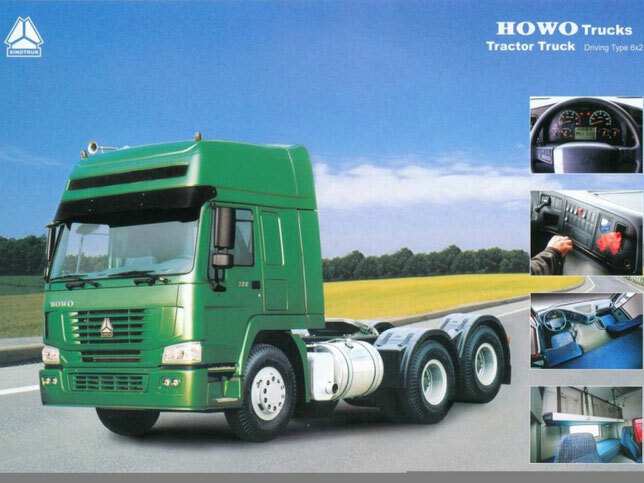 Chinese trucks HOWO 8 - is a worthy embodiment of quality and the implementation of consumer requests.